For a small office, home office, or home network use, the Brother MFC-8640N is a combination printer/copier/scanner/fax capable of meeting the needs placed upon an all-in-one device without occupying a great deal of space. 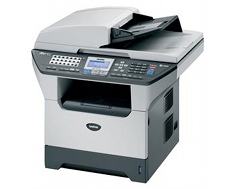 The MFC-8640N is an all-in-one copier that measures 20.9" x 17.5" x 18.5". The 39.9 lb unit is larger and heavier than many single-function devices, but it would still fit comfortably on most workspaces without requiring a credenza or another piece of furniture for storage. There are, however, smaller and lighter multifunction devices for personal use if space is a concern. The copier can function as a standalone device without communicating with a PC and has its own LCD display from which it can be configured. It can reduce or enlarge documents in size from 25% to 400% and features a 50-page automatic document feeder, making it able to copy small to medium-sized documents without user interaction. Larger documents will require either a larger copier or to be fed at least somewhat manually. The MFC-8640N both prints and copies at 21 pages per minute and at a resolution of up to 2400 x 600 dpi, which its optical scan also functions at. As a scanner, it has a max interpolated scan resolution of 9600 dpi and an input color scan bit depth of 48-bit. The scanner also includes "Scan to" features allowing the device to move a document directly into email or to a file, saving time when scanning documents. The copier can process documents between the sizes of 5.8-8.5" to 5.8-14". The printer has a 250 sheet input capacity which can be expanded to 500 sheets by adding the LT-5000, allowing the printer to hold an entire ream of paper at one time. When this is added, the printer is more suitable for small office use, as many offices do go through at least a ream of paper daily. The MFC-8640N includes IEEE-1284 Parallel, USB, and ethernet interfaces, making it immediately ready for home network or office network use. By adding an NC-2200w, the printer can be connected via USB to a wireless network. Additionally, a web interface allows any computer networked to the printer to alter settings, perform administrative tasks, and check in on the printer's status without installing additional software. The MFC-8640N includes 16MB of RAM, but can be expanded via 100-pin DIMMs to 160MB. Additionally, a battery backup can preserve the contents of memory for up to four days. Fax functionality is also built-in to the printer at approximately 2 seconds per page. It includes speed dialing, error correction, group dialing, fowarding, paging, and remote access. The fax machine has an approximate memory of between 400 and 480 pages and communicates via a 33.6K modem built into the unit. Though the unit is discontinued, drivers are included in recent versions of Windows and should not require additional software installation to make the printer functional. There are three separate MFC-8640 models. 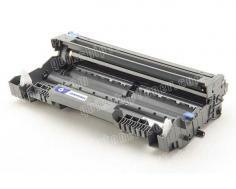 This one, the 8640N, supports networking, but lacks duplex printing, which is only available in the 8640D. A model that combines these two functions is not available, though a network add-on for the 8640D can be acquired in the NC-9100H. The copier cannot be expanded beyond 500 sheets of paper (1 ream) at a time, disqualifying it from use in offices with heavy printer throughputs, especially if it were to be used as the sole unit in a work environment. Review it: "Brother MFC-8640N "
The MFC-8640N includes a TN540 standard yield toner cartridge rated for 3500 pages at 5% coverage and a DR510 drum unit rated for 20000 pages. 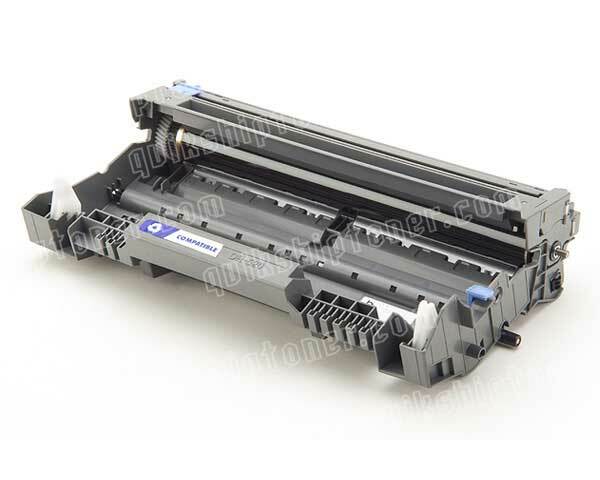 The TN570, a high yield toner cartridge, is also available and is rated at 6700 pages at 5% coverage. 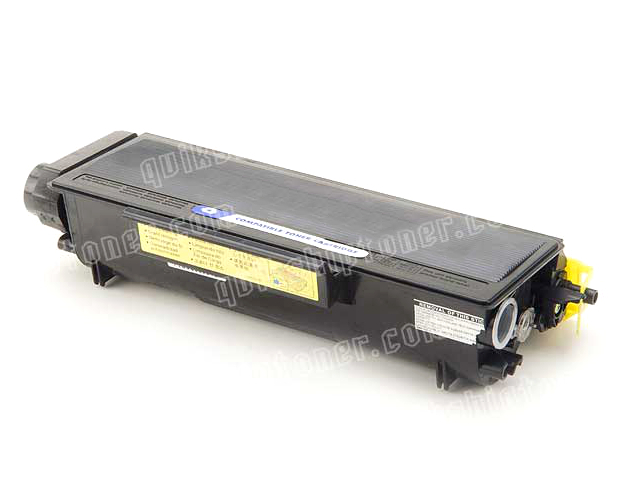 By separating the drum unit and toner cartridges, the MFC-8640D brings down maintenance expenses but will require additional maintenance as both components will need to be replaced on different cycles with likely little overlap in terms of when the parts will need replacing.